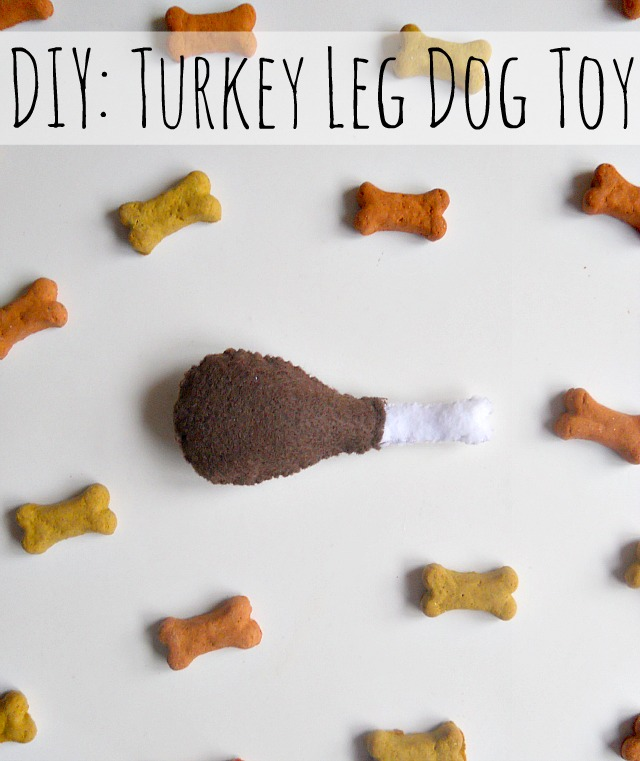 DIY: Turkey Leg Dog Toy + Meet Niblet! 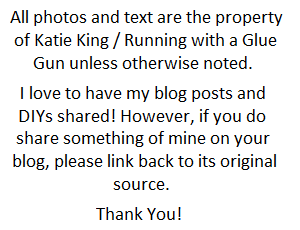 In Tuesday's blog post, I gave you guys a sneak peak at blog content that you will be seeing this month. One of the things I mentioned in that post, was introducing you to a new four legged friend. 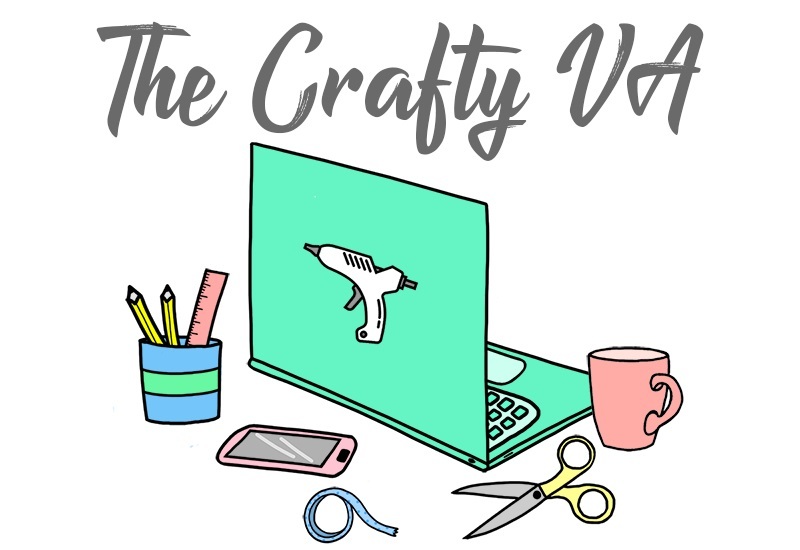 Well, folks I like you to meet the newest member on the Running with a Glue Gun family..... Niblet! Now Niblet is the best thing since slice bread and I know you probably all agree with that statement! He has officially been in the family for almost a month and is so adorable. 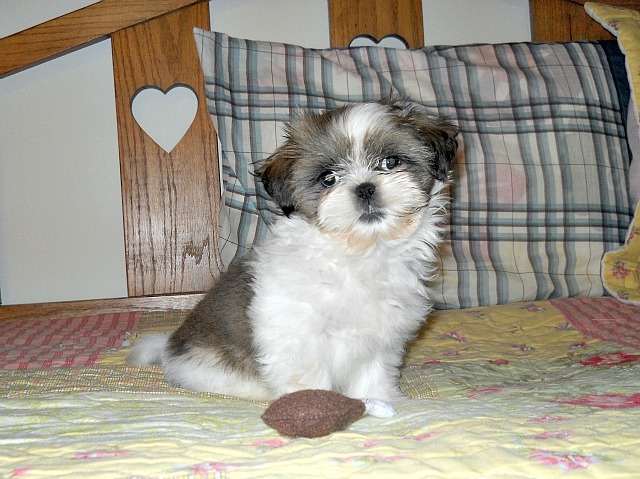 You may have remembered that last year I lost my little Sparky and was not really ready for another dog. 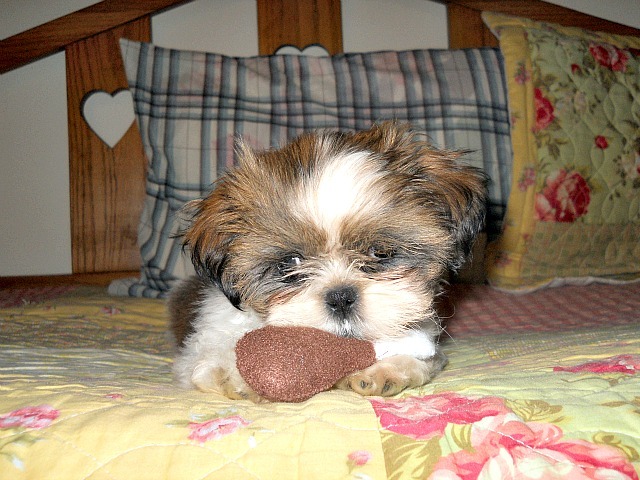 However, a year had passed and I really missed the idea of having a little four legged friend to make toys for. So thank God, the Nibs (what all his close friends call him) was born (lol)! To make his welcome official on the blog, I thought why not create a Thanksgiving Day dog toy DIY. 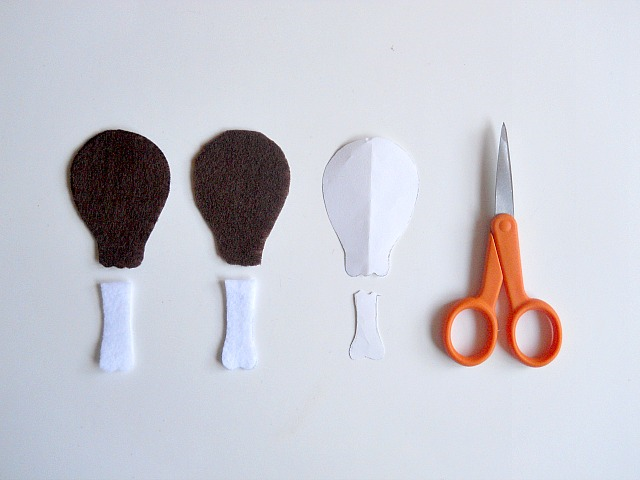 So today I will be showing you how to create a turkey leg dog toy, in only 4 steps! Step 1: Find an image of a turkey leg that you like and print it out. Then cut that image into two separate pieces. You will want to cut where the turkey and bone meet. Once you do this you will have two separate pattern pieces like above. 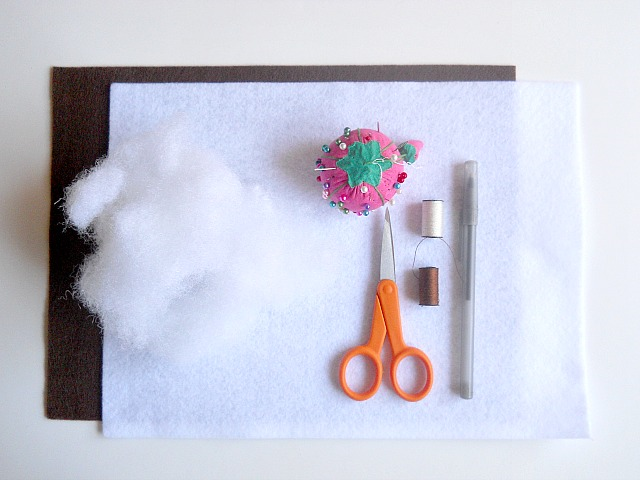 Now take your pattern pieces and trace around them onto your felt. You will want to cut out two pieces of your brown felt (which will be your turkey meat) and two pieces of your white felt (which will be your bone). As a side note, I linked the image that I used under the supplies section but you could also free hand your turkey leg pattern, if thats more your style! 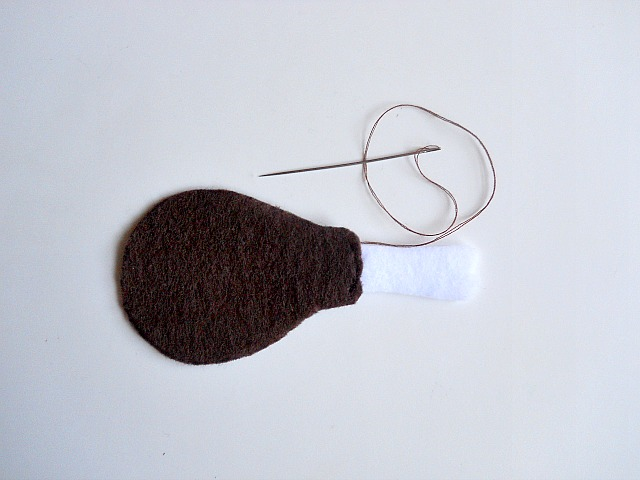 Step 2: Lay one of your brown felt pieces on top of one of your white felt pieces. Then take brown thread and sew (using a simple stitch) those pieces together. Once your done, tie off your work and repeat this step with your other pieces. When your completely done, you will have two separate turkey legs. 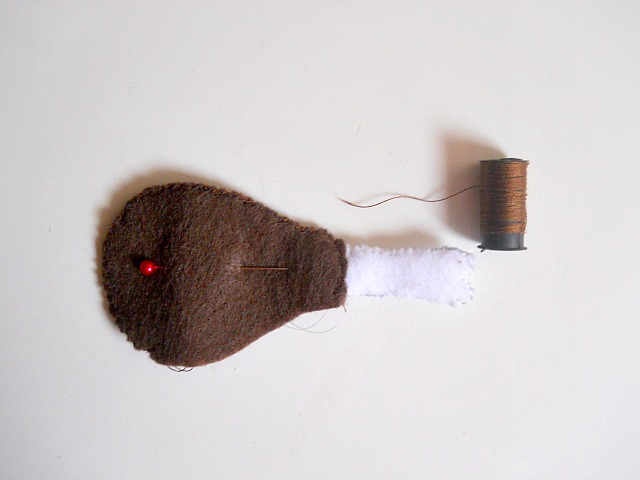 Step 3: Pin your two turkey leg pieces together and sew around the edges using a whip stitch. While your stitching, make sure you leave a small hole so you can stuff your toy. 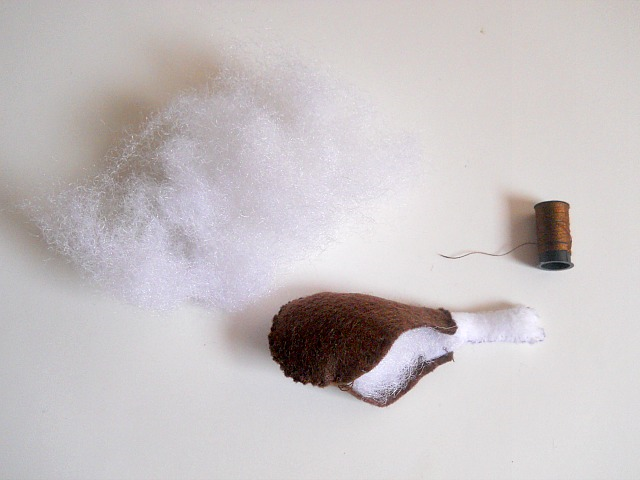 Step 4: Fill your toy up with some stuffing and finish your sewing by using the same whip stitch. When your done stuffing and sewing, you ready to give your new handmade toy to your furry four legged friend! 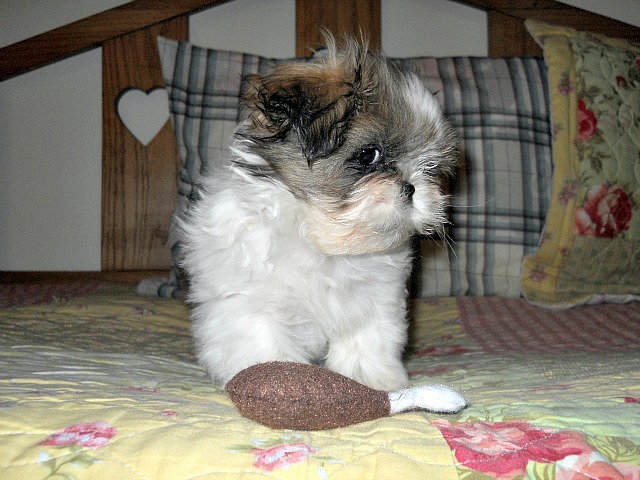 Niblet loved his new toy and might I add, was holding the turkey leg the proper way (lol)! If you would like to see more dog toy DIYs, you can check out the new ''Dog Toy DIYs'' category under the tab labeled ''DIY Projects'' above. What do you think? Do like this turkey leg dog toy? p.s I know handmade items are not perfect. So anytime I make a toy for Niblet, I always make sure to watch him while he is playing. You can never be to careful with your four legged friends! This is so cute!!!!!! I'll have to make one for Willie. 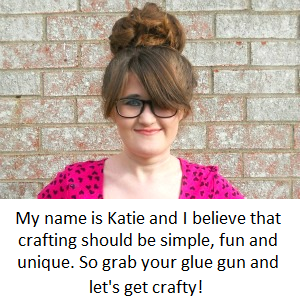 I agree with Katie. Niblet is just precious. And what a name!